It has been common knowledge that electric cars are more expensive than gasoline cars that is why consumers are often forced to search for the most affordable electric cars. 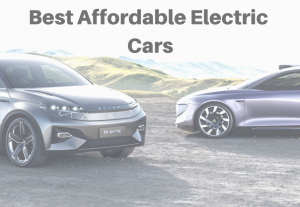 In this post, you will find the most affordable electric cars that will be on sale this year. Most of them are crossovers, futureproof and has long battery range. 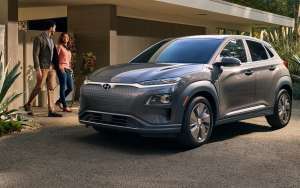 Even though 2019 is marked by the release of such highly anticipated electric crossovers such as Audi E-Tron and Mercedes EQC, these premium cars are not expected to disturb the sales of gasoline models however they rather quietly released Hyundai Kona Electric currently dubbed as the cheapest EV crossover in the market. Hyundai Kona has the true potential to drive thousands of new buyers to switch to zero-emission personal transport. It is worth noting that the lower priced model still won’t be a Tesla in terms of range. It is one of the best affordable electric cars in the electric cars market. The affordable version over the 39.2 kWh battery can ensure 190 miles of zero-emission driving however unlike Tesla’s Kia cars still have a long way to exceed their tax incentives. The slightly roomier crossover design should play as the deciding factor in favor of the Korean EV. The higher spec Kona will be equipped with a 204-horsepower motor and 65 kWh batteries sufficient for 240 miles of range but you should expect the price rise to $41,000. Following the commercial success that Renault has with its electric lineup in Europe represented by the two-seater TWIZY, hatchback ZOE, Minivan Kangoo and the newly arrived Master EV, the company plans to bring yet another EV to the market. It is speculated that this model will be built on the platform of a subcompact crossover Renault Kwid which has sold in India for just $5,000. The electrified version, of course, will be more expensive but should remain within the affordable segment below $25,000. Since the sole purpose of this model is to bring electric propulsion to the masses, it is designed for affordable production. The installed battery won’t exceed 30 kWh and will be sufficient for 105 miles of range. In the real world, the sales of K-ZE will start in 2019 in China with the plans to expand to all countries where Renault sells their cars. Just like any other big-name automaker and the Kia has its own electrification strategy planned for the nearest future. By 2025, 16 new models with some sort of electric powertrain will be introduced to the market. Being corporate siblings for the Hyundai Kona, both upcoming EVs will be part by the same motor battery combination. The energy is provided by a high-capacity lithium-ion battery pack with either a 39.2 or 65 kWh battery pack which is good for 180 to 240 miles of range and connected to 136 or 201 horsepower motor respectively. The newcomer has a rich set of safety features including collision warning and avoidance assists as well as Lan following Assist which tracks vehicles in front of the car in traffic and attacks road markings. 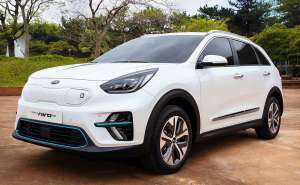 Kia Niro EV is expected to be 12 percent more expensive than Kona with the price difference attributed to additional roominess and higher spec standard equipment. Sono Motors is a German startup that has an inspiring goal to bring to the auto market the most affordable production electric car that will be powered by solar energy. The latest data shows that on average a person travels 40 miles a day and Sion 330 integrated solar panels can compensate half of the consumed daily charge but even without any regeneration, this hatchback can travel as far as 155 miles. They installed 107 horsepower electric motor provides just enough power for this extremely light vehicle and even enables it to have 1,650 pounds of tunnel capacity. On the market since 2016, Hyundai Ionic Electric as a compact five-door liftback that offers industry-leading fuel efficiency of 136 MPGE. It also boasts of the sleek exterior with LED tail and daytime running light. It also offers a comfortable eco-friendly cabin featuring six-way adjustable driver and passenger seats, 60:40 split for your seat and 23 cubic feet of cargo space. The automobile is powered by 28 kWh battery pack that provides up to 124 miles of range and feeds a 118 horsepower with 218 LB-FT. Ioniq has high safety score, user-friendly infotainment with a standard 7-inch display which support Apple carplay and Android auto compatibility and a lifetime electric battery warranty from the manufacturer. The car is now offered in two trim levels- base and limited which adds a full range of safety features and premium interior. Both options are tax rated eligible but are currently sold exclusively in California. This is the second-generation electric car from Nissan that is also one of the oldest EV models that are still in production. 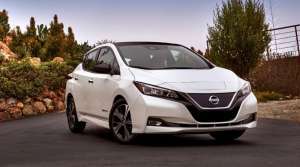 Originally introduced in 2010, today the leaf is a modern wall connected automobile that is powered by 147 horsepower electric motor which has 236 LB-FT of torque and a 40-kilowatt lithium-ion battery. Though the 2019 Leaf is expected to get an extended range option, the most affordable version still continues to deliver 150 miles of driving on a charge which is still 40% more than the original model. This vehicle is available in three trends- S, SV, and SL with the base one featuring one peddle driving, automatic emergency braking, rear-view camera, and regenerative braking system. It has a four-speaker audio system and a 7-inch digital instrument cluster with a power meter, hands-free messaging, available navigation and Bluetooth audio. 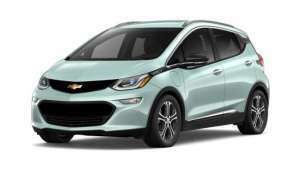 The long-range electric crossover Chevy bolt returns in 2019 with mostly the same specifications. The car still provides a range of 238 miles in a full charge, it has 200 horsepower electric motor for the front wheel drive which is enough for the bolt to go from 0 to 60mph in 6.5 seconds. Despite its compact design, this EV features 17 cubic feet of cargo space which can be expected to 57 but the rear seats folded flat. The bolt regular charging time takes around 9 hours for 240 volts/32 amp units but there is an available fast charging option that replenishes 90 miles of range in 30 minutes. You can also see our comparison post of Tesla Model 3 vs Chevrolet Bolt. 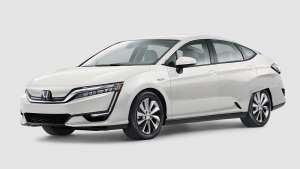 Being the most recent EV offering from Honda, Clarity electric is a compact sedan power by 161 HP electric motor. It has three driving modes- echo, normal and sport that allowed to control the motor output. The car is also packed with safety driving features including adaptive cruise control. Honda Clarity Electric has plenty of space so it is a great family car. The weakest aspect of Clarity Electric is its range which stands way below the competition at 89 miles per charge. Even though it should be enough for the daily commute, this number puts a lot of pressure on the driver and makes the EV dependent on the charging stations too much. The good thing is it has a fast charge option that all are to get the battery up to 80% in under 30 minutes. Despite all the criticism, controversies, doubts and stock shorting, Tesla came out from the third order of 2018 with flying colors. The company reported profits, unprecedented results of manufacturing and deliveries which were overwhelmed by the budget Model 3. At the moment the cheapest room of this electric car gets equipped with a single electric motor with rear wheel drive and mid-range battery which is good for 260 miles. The top speed of this is 125 mph and 0 to 60 mph stand at 5.6 seconds. Even though this modification could hardly be called affordable priced at $46,000, Tesla Model 3 is currently the fourth best-selling car in the US and number one in revenue. If we were to trust Elon Musk, the $35,000 version of model 3 with 220 miles range will be arriving at the market in the middle of 2019. It is still quite a long wait if you need a car today but incredibly positive feedback of the new owners indicates that maybe at it’s really worth their time. 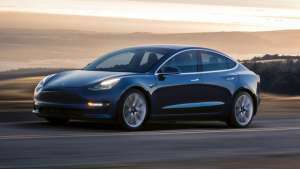 For the 2019 model, the best-selling electric car in Europe is not going to be significantly updated, it is still powered by the new generation electric motor R1 10 that has increased output of 107 horses and 162 pound-feet of torque. 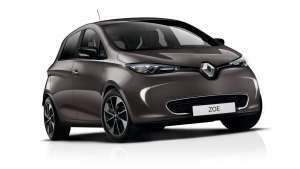 The Renault Zoe has 40 kWh battery from LG and it reserves 250 miles of range on one charge. Solving the range anxiety problem, the power increase reflected on the acceleration of the car especially at higher speeds making it more capable on the highways. The car is offered in 2 models- dynamic and signature with the latter one offering leather seats, Bose sound system, heated front seats, electrically folding door mirrors and a rear-view camera. If you have any doubts about this then let us know in the comment section below and also don’t forget to checkout out our post on Tesla’s new competition.